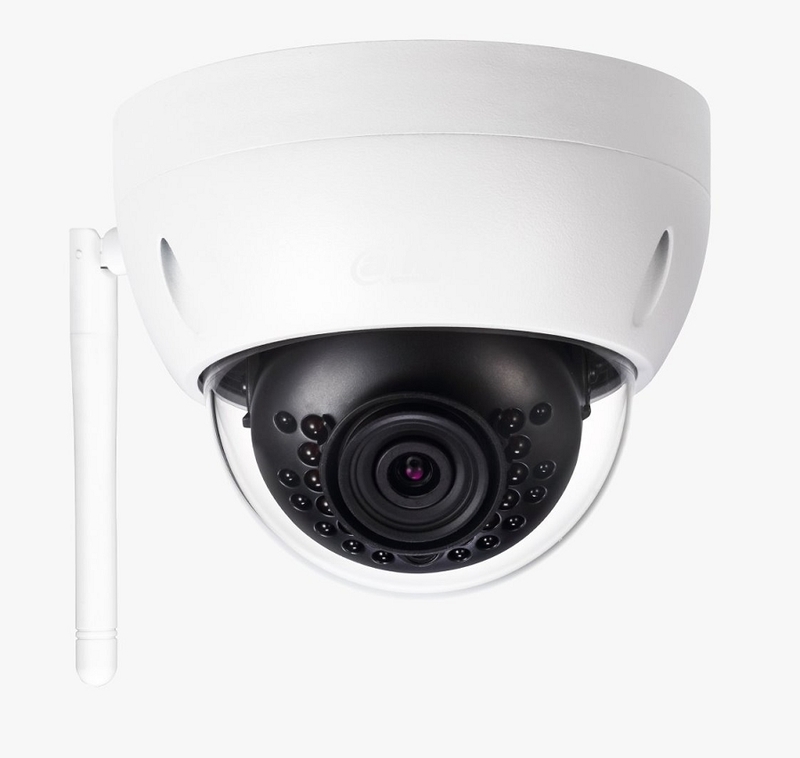 WiFi 3MP outdoor dome camera with 3.6mm lens and up to 90 ft. of infrared illumination. This WiFi network camera can easily connect to your wireless router with no need to run a cable but also has a RJ45 jack if running a cable is necessary. In addition to live viewing the C3120HNC can record to any PC for standalone surveillance or used with a NVR (network video recorder) for a more robust surveillance solution. Remote viewing, playback, email and push notification are available on your smart phones or PC. The 3230EHNC provides exceptionally sharp 3MP image quality with full color images during the day then switches to infrared B/W at night to provide clear images in total darkness up to 90 feet. The IP66 weatherproof rated housing allows for indoor and outdoor use.